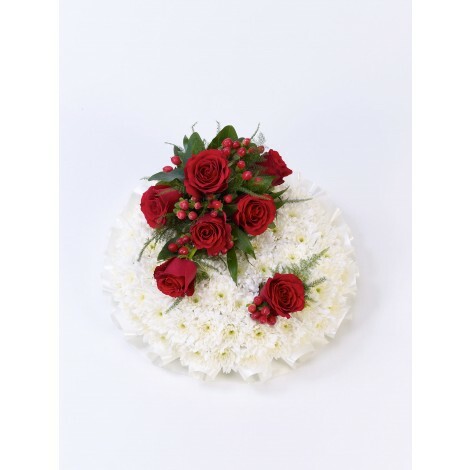 Pristine white and luxury red rose posy. 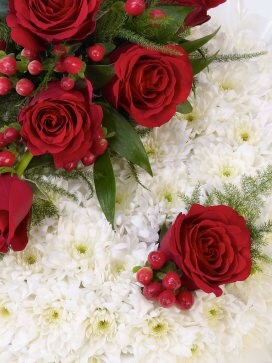 This pristine white and luxury red rose posy is one of natural beauty and elegance and grace. 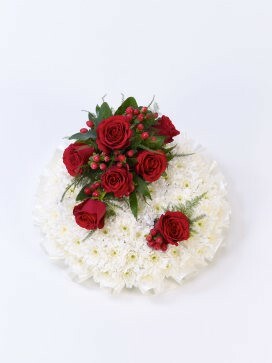 Featuring; a mass of white double spray chrysanthemums, a spray of luxury rich, red roses, French ruscus and hypericum berries.